Tomei Metal Head Gasket - PURE Tuning Inc. Since cylinder capacity can be adjusted by changing the thickness of the head gasket, a thicker head gasket can be used to increase your engines’ compression ratio. Alternatively, you can choose a thinner head gasket and maintain your stock compression ratio. 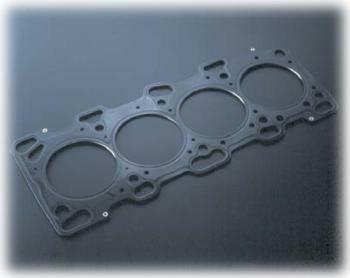 The stainless material used for the Tomei Metal Head Gasket was chosen for its high heat capacity, because stainless material dissipates heat at such a high rate, you greatly reduce the risk of head gasket failure.